Includes: Transmitter and a Receiver Unit, each with flexible cables and clip leads and bag. 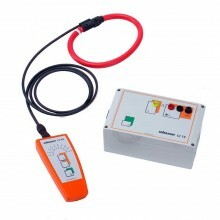 The Cable Core Identifier is designed to establish the phase rotation in an un-energised three phase H.V. cable prior to jointing. 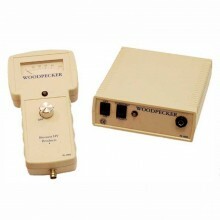 This inexpensive tool is very easy to use and effective, using three coloured LEDs to confirm correct connection. 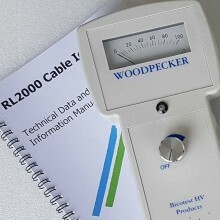 The Receiver is connected at the remote end, and continuity between phases is checked by changing the coloured crocodile connectors in accordance with the written instructions on the Transmitter. When all three LEDs light the phase connection is correct. 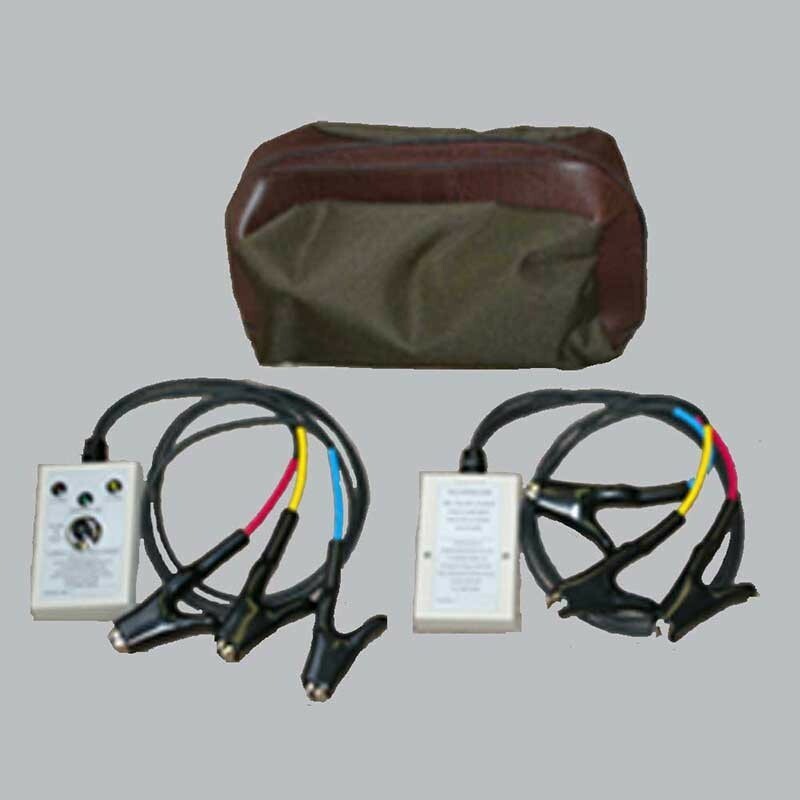 The Cable Core Identifier (CCI) comprises a Transmitter and a Receiver Unit, each with flexible cables and clip leads. 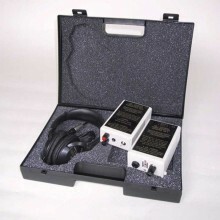 The transmitter and receiver boxes are made from tough ABS plastic and each display a label with full operating instructions. Identifies cable cores prior to jointing. Compact and easy to connect. Bright coloured LED's for clear core identification. Flexible leads Black 1000V Flexible Synthetic Rubber (C.S.P.) 55/0.15 mm Tinned Copper. Green 35 deg. Viewing Angle 25 mcd @2OmA. Power PP3 9v Battery (Transmitter only). Operating temperature 30 degrees C to +85 degrees C.
Dimensions (each box) 58mm x 23mm x 96mm (excluding cable gland). Weight (with batteries) 0.20 kg. 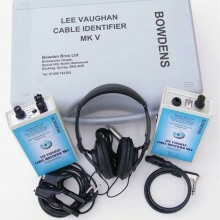 PDF Specifications of the Bowdens Cable Core Identifier.